Children in need. Own a piece of history. We will be selling some limited edition, retro, exclusive, your mates won’t have them pudsey badges to raise money this year. 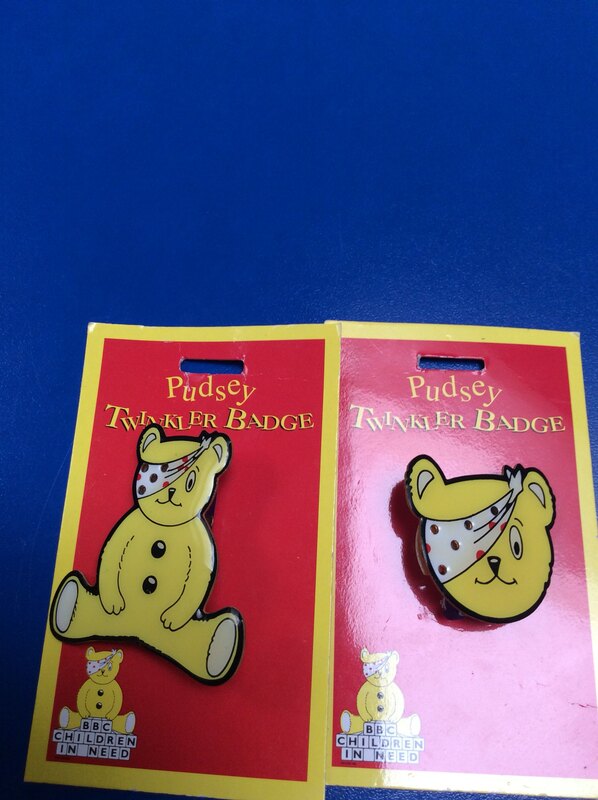 We cleaned out a cupboard and found some pudsey badges from 1999. We will be selling these from Monday 13th November. £2:00 if the battery still works and it still twinkles and £1:00 for the badges that don’t twinkle any more.